Gillian studied at the University of Ulster, graduating in 2000. Gillian worked her junior rotations at Manchester University Hospital Trust, and had part time hours with Manchester City Football Club sports injury clinic. On returning to Northern Ireland in 2002, she held several health service posts in musculoskeletal physiotherapy, laterly holding a senior post in Orthopaedics at The Ulster Hospital Dundonald. 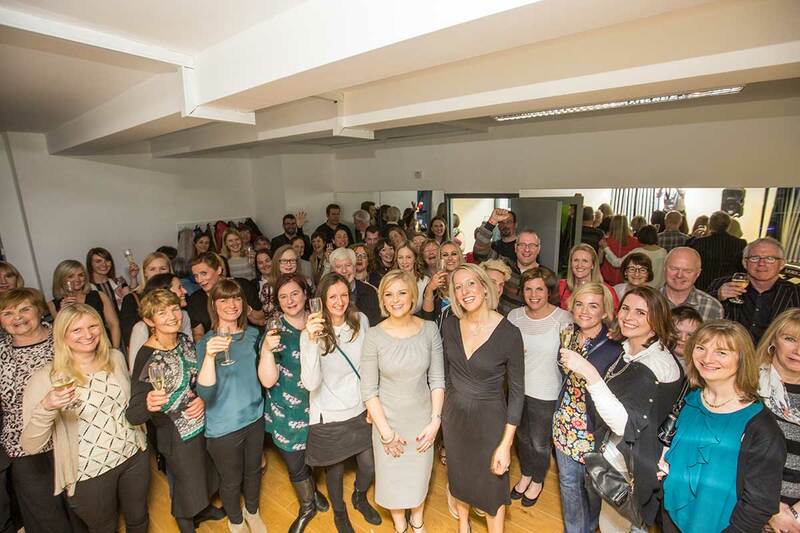 Gillian most recently worked at a busy private practice in Belfast from 2004 to 2015 when she and Sonia went into partnership together, and has continued adding to her knowledge within the physiotherapy field. She has attended foot orthotic courses and trained locally for a certificate in Spinal Manual Therapy through Curtin University Western Australia. Amongst her further training, she has gained instructor levels 1 – 3 in APPI Pilates, and at present takes 11 classes a week including AnteNatal and Mother and Baby classes. Gillian is mum to three boys and is also a keen distance runner and can often be seen running with a buggy at the Park Run on Saturday mornings. Sonia graduated in physiotherapy from Queen Margaret University College, Edinburgh in 1995, and spent several years working in the Western General Hospital in Edinburgh gaining valuable experience in a variety of clinical specialties. Sonia was physiotherapist for the Scottish Ladies Hockey Union for three years from 1995 and also looked after the Ulster Schoolboys rugby squad in 2001. A year working in Australia provided further clinical experience in both hospital and private practice settings. Sonia moved home in 2000 when she started work at a busy private practice in Belfast until 2015 when she went into partnership with Gillian. A special interest in pilates has led Sonia to the belief that it forms an integral part of the rehabilitation of spinal and sports injuries. Sonia trained in Pilates with the Australian Physiotherapy and Pilates Institute (APPI) and is a certified Pilates instructor. 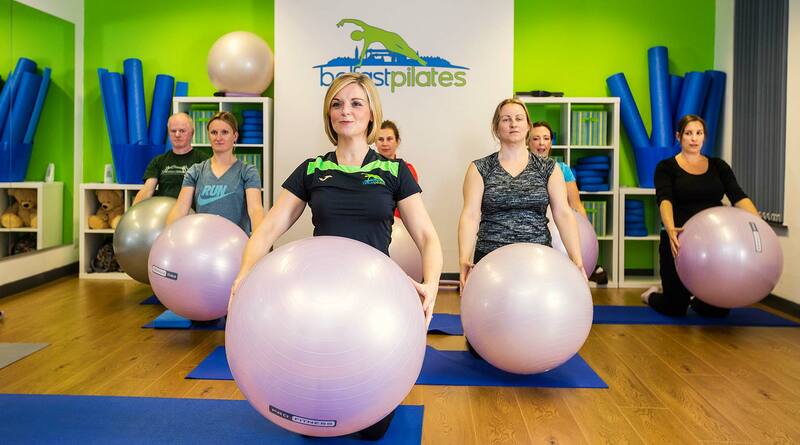 She has also completed specialist training in ante & post natal Pilates, Pilates and the theraband, Pilates and the gym ball and advanced level Pilates. In addition to physiotherapy, Sonia currently runs 11 Pilates classes a week as well as one to one Pilates sessions. She is the proud mum of two children and enjoys an active lifestyle with her family. Specialist Musculoskeletal Physiotherapist/ AACP Acupuncture accredited. Denise graduated from the University of Ulster Jordanstown in 1995 and spent four years working as a Junior Physiotherapist in Belfast City Hospital. Throughout this time she also worked in the private sector as part of a team of Physiotherapists, Podiatrists and Orthopaedic Consultants in a busy Sports Injuries Clinic. In 1999 she gained promotion to Specialist level when she joined the Physiotherapy Musculoskeletal (MSK) Team in the South and East Belfast Trust (latterly the Belfast Health and Social Care Trust). Denise has accumulated a vast knowledge of the assessment, treatment and rehabilitation of sports injuries which she has gained through her work with numerous sports teams across various disciplines including IFA Premier League Football, Gaelic Football (at club, county and provincial level) and International Netball (NI Ladies Under- 19s). She has also travelled internationally with a number of sports teams including the Irish Deaf Football Team (Deaf Olympic Games, Rome 2002) and the NI Ladies Senior Football Team (Algarve Cup, Portugal 2003). Denise has also been practicing acupuncture for 20 years and has been a fully accredited member of the Association of Acupuncturists in Chartered Physiotherapy (AACP) for that period of time. In her spare time Denise is an avid fell-runner and orienteer. She has also completed the London Marathon on two occasions (2004 and 2010) as well as numerous half-marathons, Mountain Marathons and other long-distance endurance events. Gillian initially graduated from Queen Margaret University College, Edinburgh with a BSc (Hons) in Podiatry. She developed a strong interest in biomechanical assessment and musculoskeletal injuries and returned to university, completing an MSc in Physiotherapy in 2003. She spent several years gaining valuable experience working in NHS teaching hospitals in Edinburgh. She returned to Northern Ireland to commence work as a senior physiotherapist within the NHS, where she continues to work full time. Gillian has also worked privately in both orthopaedics and consultant lead outpatient clinics. Amongst her further training, she has gained instructor levels 1 – 3 in APPI Pilates, manual therapy and acupuncture. Gillian believes that Pilates has a place for everyone, whether goals are to improve posture, recover from injury or simply to relax after a hard day. She uses Pilates in both injury prevention and rehabilitation. Jane graduated in Physiotherapy from the University of Ulster Jordanstown in 2000 and worked as a junior physiotherapist in the Mater Hospital initially and then the Royal Hospitals gaining a wide variety of experience in many clinical areas including orthopaedics, respiratory and musculoskeletal. It was in the Royal she developed a special interest in neurological conditions and was appointed as a Senior 1 Physiotherapist in The Regional Neurosciences Unit in 2005. Jane had already been participating in Body Control Pilates classes and as she found the exercises beneficial to many of the patients she treated she completed the APPI 3 basic matwork courses in 2008/2009. 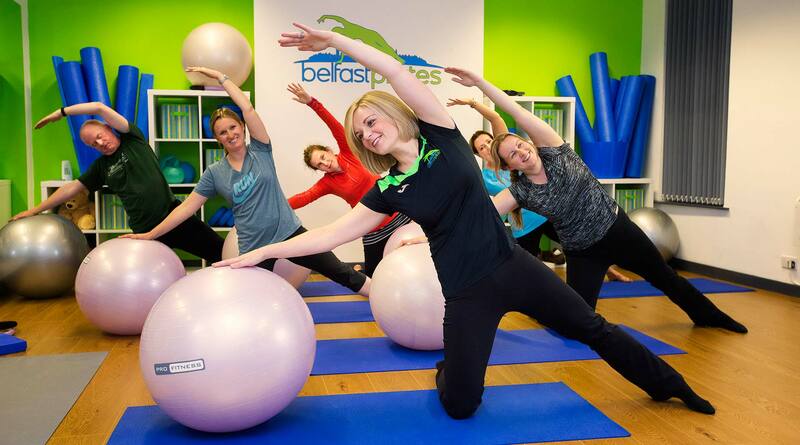 Since then Jane’s interest in Pilates has grown and she continues to use it within her NHS post, now in the Royal Belfast Hospital for Sick Children and in teaching classes here at Belfast Pilates. 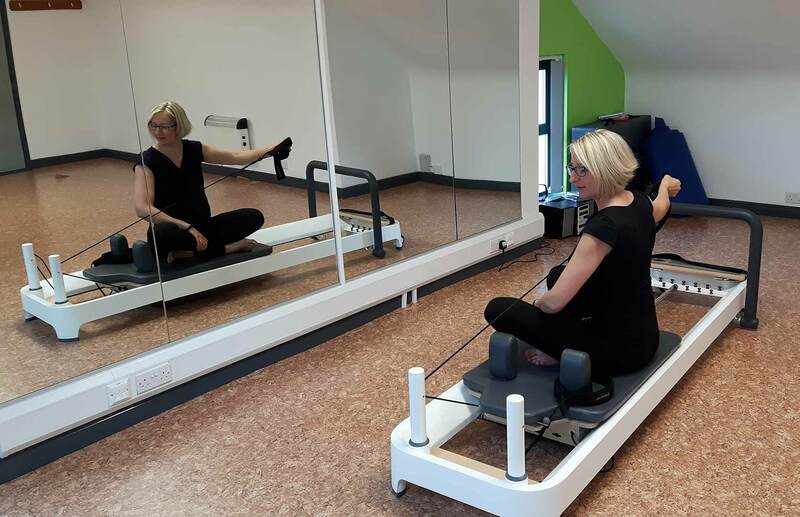 She continues to develop her Pilates skills through courses including APPI ante and post natal, advanced matwork and reformer on the mat using the Pilates band. When not working in the NHS or taking Pilates she is a busy mum of two. Kathryn graduated as a Physiotherapist from the University of Ulster in 2006 and completed her junior rotations in a variety of clinical settings in the Southern and Belfast Health and Social Care Trusts over a period of almost 4 years. In October 2011, Kathryn attained promotion to Specialist Paediatric Physiotherapist in the Additional Support for Children in Education (South Eastern Health and Social Care Trust). This is a multidisciplinary team which supports foundation and key stage one aged children in schools presenting with difficulties with their gross motor skills, including those with developmental delay, Dyspraxia and Autism. In February 2015 Kathryn was successful in gaining employment in Fleming Fulton Special School in the Belfast Health and Social Care Trust, where she treats children and young people with a variety of conditions including Cerebral Palsy, Spina Bifida and Duchenne Muscular Dystrophy. Kathryn’s interest in Pilates developed following a sports injury where she was able to use Physiotherapy led Pilates to help rehabilitate herself successfully when surgery and other interventions had failed. She has completed APPI Pilates matwork courses levels 1-2. 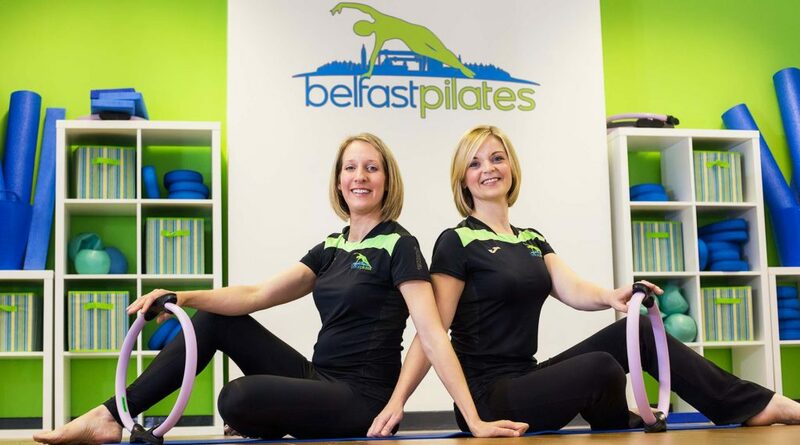 Kathryn has been teaching children’s Pilates classes in Belfast Pilates and Physiotherapy for over a year, and also teaches Pilates to teenagers with special needs in Fleming Fulton School as part of her NHS work. Sinead is a Chartered Physiotherapist since 2013 who has trained under the Australian Physiotherapy and Pilates Institute (APPI) programme. After experiencing the personal benefits of Pilates-based rehabilitation programmes following sporting injuries, she undertook training with APPI enabling her to become a Physiotherapist teaching Pilates. Her personal experience of Pilates in rehabilitation ensures she can transfer this knowledge and skills to her clients. Sinead has worked in a variety of settings including rotations in different areas within the NHS, private musculo-skeletal (MSK) clinics, business occupational health setting and with sports teams at club and county level often incorporating Pilates as an adjunct to treatment techniques. Sinead considers her classes as a useful outlet in which to educate clients on back pain, normal movement, posture and self-management techniques using exercises in a forum in which to develop and progress each client’s core stability and range of movement. Sinead has been committed to developing her Pilates ability and knowledge by completing further training within specialised areas such as ante natal clients. She has a wide variety of musculoskeletal experience personally practising Pilates for 10 years and instructing for over 3 years. Sinead continues to develop her Physiotherapy skills attending courses such as kineso-taping, ultra-sound in women’s health and acupuncture being a member of the Association of Acupuncturists in Chartered Physiotherapy (AACP). Outside of work she enjoys playing camogie, running and cycling. Sinead has completed post graduate CPD courses in England and Ireland to specialize in Womens Health assessment and treatment . 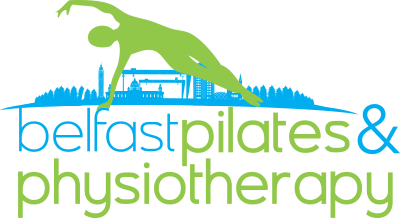 This is an excellent addition to our services at Belfast Pilates & Physiotherapy. 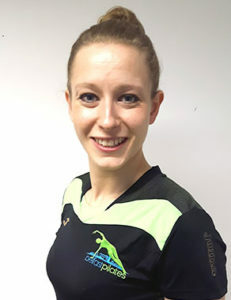 Rachel graduated from The University of the West of England in 2006 and has 11 years experience as a clinical and sports injury related physiotherapist. After graduating she worked and continued to train in the private sector at a spinal clinic in Lisburn. Developing her personal interests in health and sport fitness she has also worked at two leading fitness centres as a circuit coach and onsite physiotherapist. Continuing her involvement in sports injuries she has provided physiotherapy treatment, preventative injury rehabilitation protocols and on pitch first aid to Ards Ladies Rugby Club. In the last 8 years Rachel has worked in a busy Private Practice in Belfast where she developed her knowledge and interest in the Musculoskeletal and sports injury field through the use of cutting edge physiotherapy. She gained specialist knowledge in spinal and pelvic injuries alongside biomechanical assessment and extended her service to her clients through massage therapy and carrying out domiciliary based treatment for high functioning neurology rehabilitation, house bound clients and for those with severe multi-pathology based injuries. Recognising the benefit of specific core strengthening exercises in rehabilitation and prevention of injuries inspired her over the last 4 years to advance her studies in Pilates and she has now completed instructor levels 1-3 in APPI Pilates and specialist training in ante and post natal Pilates. On a personal level she has been able to resolve, through Pilates, a severe pelvic and spinal injury. Without Pilates she would have been left with chronic multi sited problems and her journey to recovery would not have been an incredible success allowing her to return to all her sporting interests stronger and with improved performance, postural awareness and increased endurance. Outside of work Rachel is a keen wall climber, enjoys all outdoor pursuits and is a fitness enthusiast. Her love of animals has led her to volunteer at a local dog rescue shelter and she is passionate about developing her knowledge/attending courses in to mindfulness, relaxation and meditation.